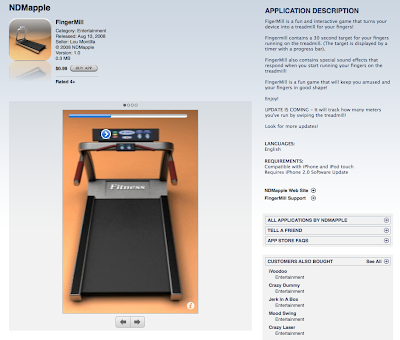 Weighty Matters: The iPhone Treadmill? In the stupider than you could imagine category, today I'm bringing you the, "Fingermill". "turns your device into a treadmill for your fingers"
"Fingermill is a fun game that will keep you amused and your fingers in good shape"